...the first to suspect foulplay in any situation. Luckily Roxy is also an investigative journalist, so she is well-equipped to track down the truths and to resolve the mysteries. Most of her stories occur in her native Australia, peppering the books in the series with wonderfully entertaining Aussie-isms (for non-Australians), dry humor, and stunning scenery. 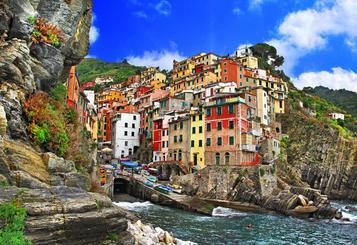 However, book 5 in the series takes Roxy to the Italian Riviera for some equally stunning scenery. 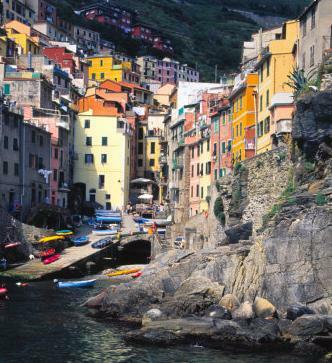 My husband and I took our boys to Europe in 2013 and the Cinque Terre was one of our most cherished destinations. 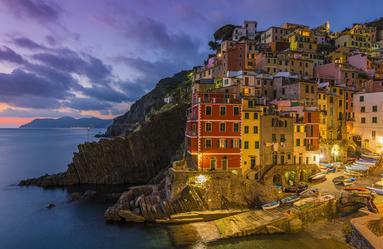 We stayed in the heart of Riomaggiore for four days and loved every minute of it. While there I decided I just had to bring my protagonist Roxy Parker back. It's such a magical place and I knew it would lend itself to a vibrant and colourful mystery. Roxy's mystery is not just vibrant and colorful, it is mysterious and life-threatening for someone very close to her. 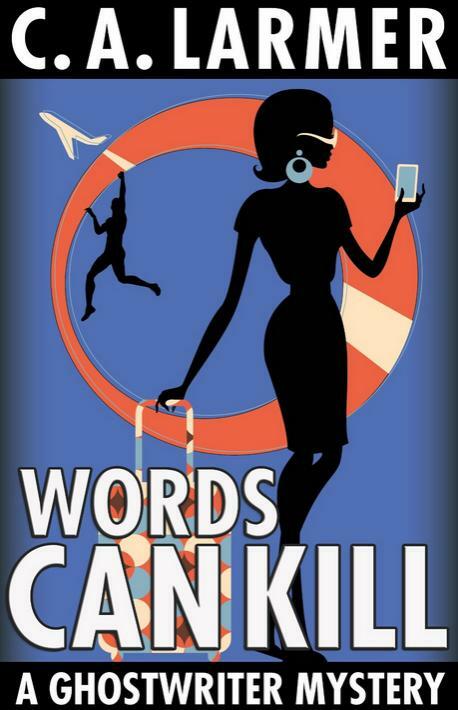 TIP: Avoid the book's description if you want enjoy Words Can Kill to its fullest. Paired with Caroline, a compatriot who is the complete opposite of Roxy, there are laughs and conflicts that lead both women to grow and groan along the way to resolving the mystery. Along with the cozy fun, we get an accurate depiction of a ghostwriter's precarious career. Part of the entertainment of this cozy series is that Roxy gets to change her scenery and associates quite often, at least with every new writing contract. That keeps the stories fresh, and saves the population of her hometown from massacre, unlike the unlucky inhabitants of Jessica Fletcher's Cabot Cove (reference: TV's Murder She Wrote). 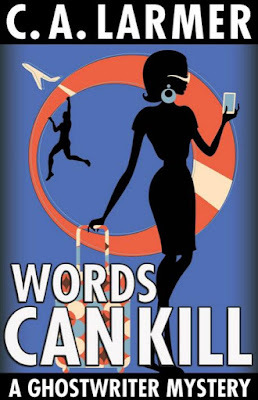 Be ready for some real pain and danger for Roxy's loved ones in Words Can Kill, in which the amateur sleuth's emotions are put through a wringer. But trust that Roxy's dogged determination wins out in the end. 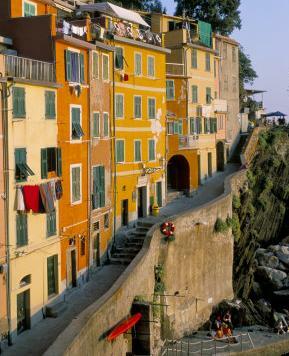 The Italian scenery and characters enrich the book for any Italophile; two thirds of the book takes place in Italy. We get good and bad guy Italians, an exciting finish, and a meaty Epilog in which all the loose ends are wrapped up for the reader. Who killed his Berlin flatmate? And what the hell was he doing with that blonde in the first place! In the latest Ghostwriter Mystery (each one a stand-alone story in itself), Roxy Parker packs her designer luggage and heads to Europe on a quest to find the man she wishes she didn’t love. With his uber-trendy, self-absorbed sister, Caroline, by her side, Roxy must follow a series of tantalising clues that take them from the heights of Mt. Pilatus to the azure Mediterranean Sea encountering brash German police, secretive Swiss soldiers, and an Italian lothario to die for.